Interested in living downtown, or simply want to see the city’s newest renovations? Buy tickets for the Downtown Providence Living Tour on Saturday, October 17th, from 11 AM to 5 PM. Your ticket gives you access to 11 apartment and condo buildings, and you’ll have a chance to explore the neighborhood at your own pace. If your feet get tired, hop on a free shuttle or Sol Chariots pedicab! Whether you buy tickets in advance (for $6) or get them that day (for $10), you’ll check in at the registration site, AS220, 115 Empire Street, to receive wrist bands, programs and tote bags before moving on to the tour stops. This year, the tour will feature The 903, Arcade Providence, Avalon at Center Place, Conrad building, George C. Arnold building, Merchants Bank building, The Promenade, Providence G, Regency Plaza, and Westminster Lofts’ Kinsley building. You can also check out the amenities at Westminster Lofts’ Peerless building, including the atrium which features an exhibit on the 20th anniversary of Providence Preservation Society’s Most Endangered Properties List. Children under age 12 are free. A portion of the proceeds will benefit the Providence Art Windows program which exhibits juried art installations in gallery windows and underutilized retail spaces. Discounted parking is available at two participating lots near AS220. 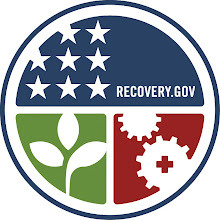 The Civic Center Parking Garage, 165 Washington Street, will offer $3 parking with validation until 5:30 PM. At the Downcity Parking Lot at 357 Westminster Street, pay $10 upfront and receive $5 back when you return with a validated ticket by 6 PM. If you’re interested in volunteering that day, or if you simply have questions about the plans, email Joelle Kanter or complete this volunteer survey form by October 13th. 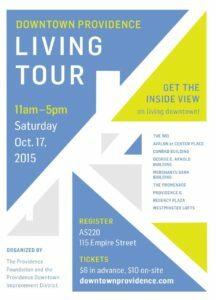 The 2015 Downtown Providence Living Tour has been generously supported by: Buy Local RI, New Harvest Coffee Roasters, People’s Power & Light, Regency Plaza, Union Studio Architecture & Community Design,Yelp and Zipcar.